The future is (nearly) here! Last month, OPPO announced that it has completed its first 5G mobile internet access test. 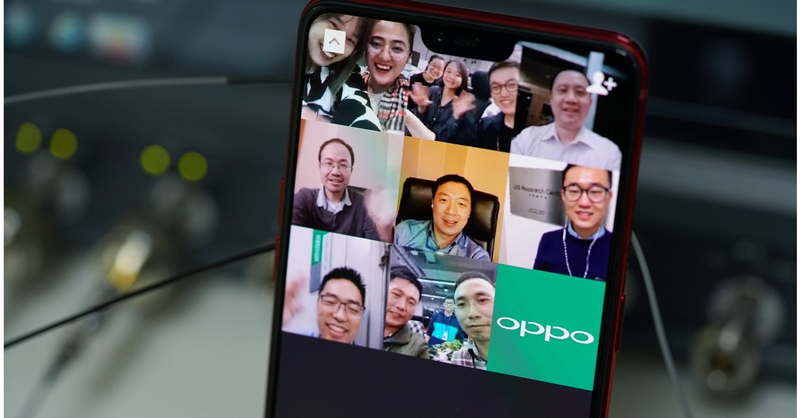 Now, the brand is making even bigger inroads towards global 5G adoption as OPPO has successfully completed its first multiparty video call in 5G! The test was done last November 30, 2018 12:57am local time. Engineers from six OPPO R&D institutes worldwide participated in the video call using WeChat, a popular social media app, with an inaugural message of “Hello OPPO, Hello 5G“. The test was made on an R15 Pro-based 5G smartphone and lasted for more than 17 minutes on a 5G network with a bandwidth of 100 MHz. While this may seem like a small step at first, it’s a testament to the increasing development of 5G technology, which means we might see 5G-powered smartphones in just a few years time. “5G is a trend OPPO must embrace. In addition to striving to become the first manufacturer to launch 5G smartphones, OPPO’s exploration of application opportunities in the 5G+ era will ultimately determine the value of 5G,” Tony Chen, Founder, President and CEO of OPPO stressed at the recent 2018 OPPO Technology Exhibition in Shenzhen. “OPPO will fully integrate 5G with applications and user insights, and continuously innovate to provide users with revolutionary, necessary, convenient and seamless experiences”.